One of the easiest ways to stay in shape, or lose weight to begin with, is to use an internet based fitness tracker. 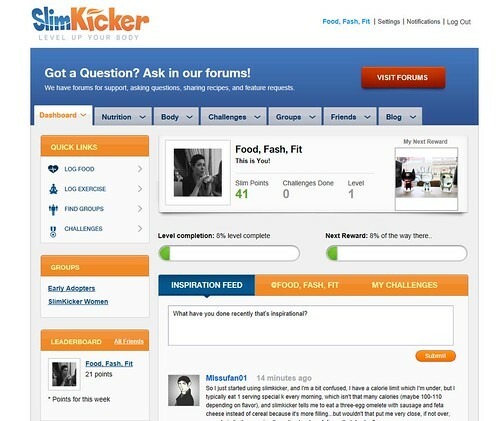 I’ve had great success using MyFitnessPal (and have also tried Spark People and JillianMichaels.com) but I was recently contacted about SlimKicker.com, so I decided to check it out. 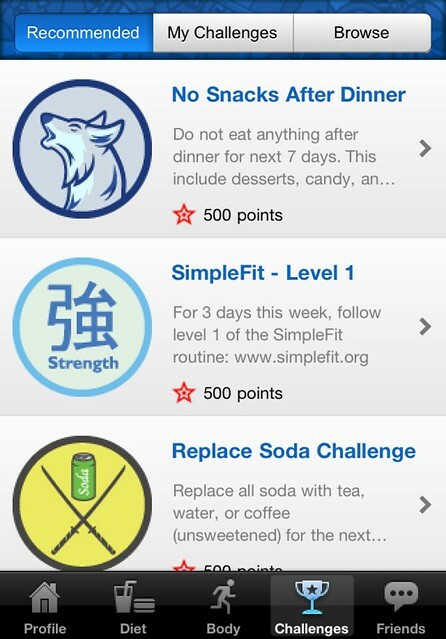 Unlike MyFitnessPal, which encourages a minimum of social interaction, SlimKicker.com really tries to get you involved in the online community, and uses a point reward system to get you to give your fitness and nutrition a boost. Apart from the obvious bump in motivation, this is a brilliant idea because it encourages you to switch up your routine, and try new things. Turning fitness into a game is a sneaky way to get you to work out without realising it! 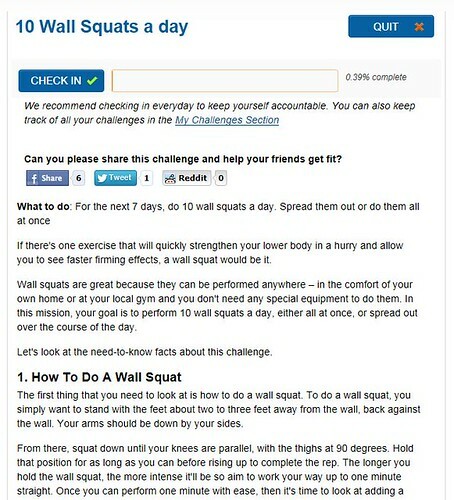 Today, I decided to take on the wall squat challenge, which asks you to do ten wall squats a day for seven days in order to earn 500 points. There is even info on the correct form for these squats, and recommendations for how to make it harder – if needed! It might seem simple in the grand scheme of things, but starting off small is the best way to go – how many of us have started ambitious fitness regimes only to see them crumble in the first week? The challenges are divided up into types – willpower, emotional, nutrition, fitness, giveaway and user created. They also have difficulty levels, ranging from 1 all the way up to 20! You may well ask what the purpose of collecting points is – that’s where the reward system comes in. You post a picture for yourself of your reward, which you give yourself when you reach a certain level. 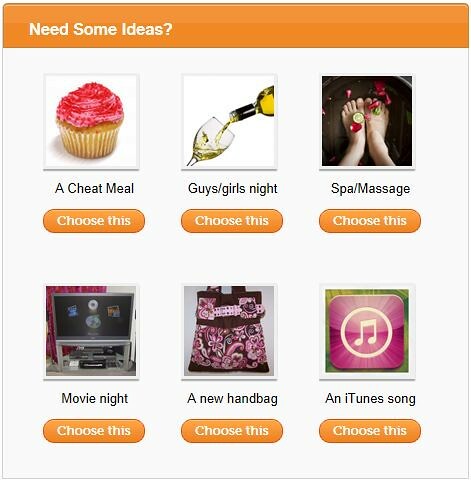 I haven’t quite picked my reward yet, but the website offers suggestions such as a girls’ night out, a cheat meal, a massage, etc. One of the handiest things about MyFitnessPal was always the app, which meant I could add things easily as I went through the day. Luckily, SlimKicker also has an iPhone app, so I downloaded that right away! 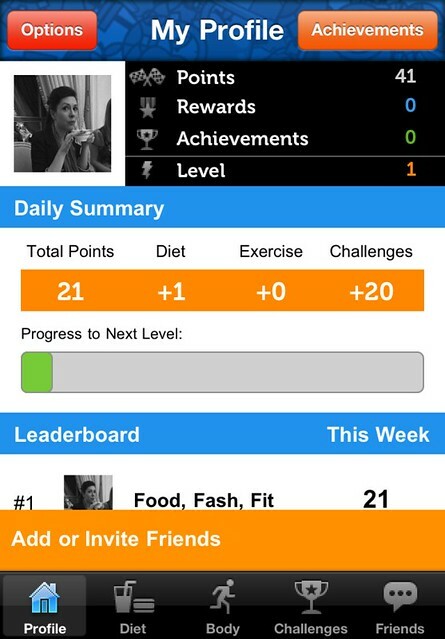 Through the app you can check your profile, log your food, record exercise and weight, and check your progress, as well as manage your challenges and interact with your friends. As I’ve been lacking a little in the motivation department recently, I’m going to try out this new app for a week and see if it helps me keep on track! What fitness trackers do you guys use? Do you find they help you keep to your plans?